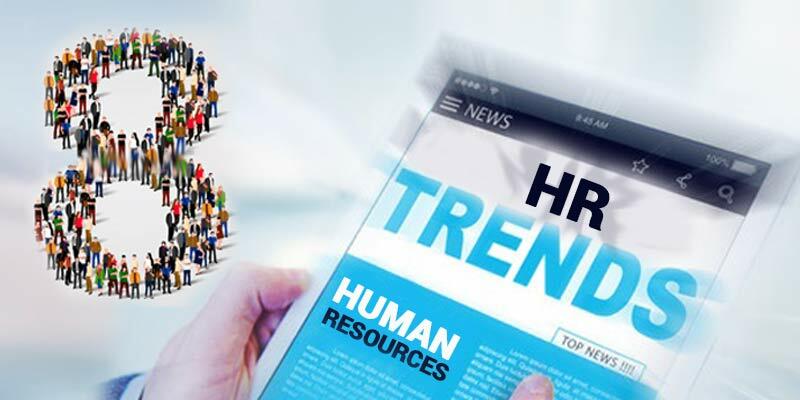 Here are the Top Ten HR Practices that can help you achieve your organizational goals every year. Creating a safe, healthy and happy workplace ensures that employees feel at home and stay with the organization for a very long time. Capture their thoughts through frequent surveys. Sharing information about contracts, sales, new clients, management objectives, company policies, employee personal data, etc. ensures that the workforce is as enthusiastic about the business as the management. It helps in making people interested in your strategic decisions, thus aligning them to your business objectives. Be as open as you can. Employee self-service portal, manager on-line etc. are some tools available today to practice this style. Awarding bonuses or including a variable component in compensation can be both an incentive and a disillusionment based on how it is administered and communicated. Bonuses must be designed in such a way that employees understand that there is no payout unless the company hits a certain level of profitability. Additional criteria could be the team’s success and the individuals performance. It is good for employee retention also. This system, which solicits feedback from seniors (including the boss), peers, and subordinates, has been increasingly embraced as the best available method for collecting performance feedback. Every person in the team is responsible for giving relevant, positive and constructive feedback. Develop an evaluation system that clearly links individual performance to corporate business goals and priorities. Each employee should have well-defined reporting relationships. Self-rating should be a part of the evaluation process as it empowers employees. Evaluation becomes fairer if it is based on achievements of the employee, tracked over the year. For higher objectivity, besides the immediate boss, each employee should be evaluated by the next higher level (often called a reviewer). Cross-functional feedback, if obtained by the immediate boss from another manager (for whom this employee’s work is also important), will add to the fairness of the system. Adopt a systematic approach to ensure that knowledge management supports strategy. 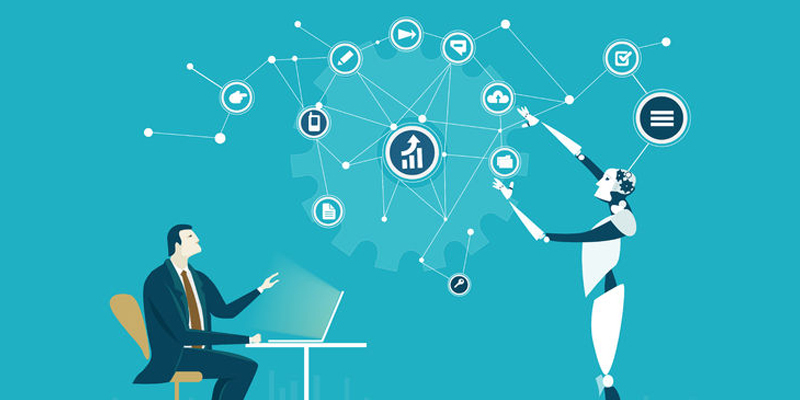 Store knowledge in databases to provide greater access to information posted either by the company or the employees on the knowledge portals of the company. When an employee returns after attending any competencies or skills development program, sharing essential knowledge with others could be made mandatory. Innovative ideas (implemented at the work place) should also be posted on these knowledge sharing platforms. However, what to store and how to maintain a knowledge base requires further and detailed plans. Create profiles of top performers and make these visible though company intranet, display boards, etc. It will encourage others to put in their best, thereby creating a competitive environment within the company. Ideas rule the world. Great organizations recognize, nurture and execute great ideas. Employees are the biggest source of ideas. The only thing that can stop great ideas being implemented in your organization is the lack of an appropriate mechanism to capture ideas. Open house discussions, employee-management meets, suggestion boxes and tools such as Critical Incidents Diaries can help identify and develop talent. Merely recognizing talent may not work, you need to couple it with public appreciation. Getting a cash bonus is often less significant than listening to the thunderous applause by colleagues in a public forum. Last but not least, occasionally, delight your employees with unexpected things in the form of a reward, a gift or a certificate. Reward not only the top performers but also a few others who need to be motivated to exhibit their potential. 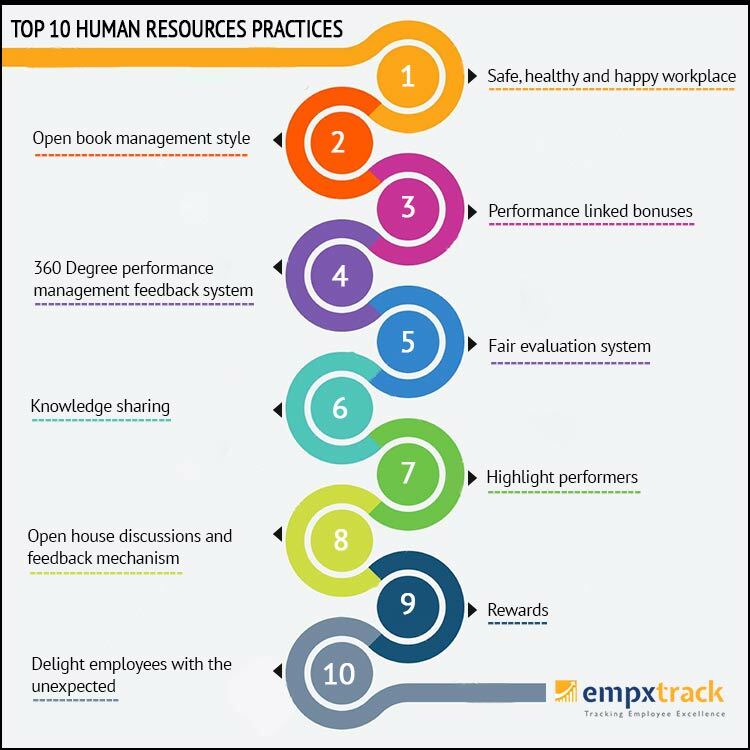 Empxtrack is a composite HR solution which helps you implement most of these best practices by utilizing software tools. We provide you with relevant performance management system which is synchronized with your HR processes.